One in three Dutch will develop cancer. Every year 43,000 people die of cancer. The fight against cancer and attention for the cancer patient are desperately needed. 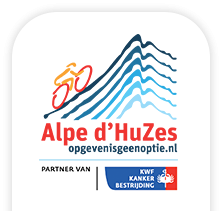 Alpe d'HuZes was founded with the aim of converting the powerlessness that arises from cancer into strength. Under the motto 'giving up is not an option' we do not accept restrictions in what we can and will achieve. Ambition: stimulating young talent. This theme also includes the annual ‘Bas Mulder Award’ ceremony. ‘Hermannetje’: accelerate the use of knowledge from research results with 'an extra push'. The Bottleneck subsidy falls within this theme. New developments: creating extra opportunities for groundbreaking research ideas. This theme includes the Unique Opportunities subsidy. 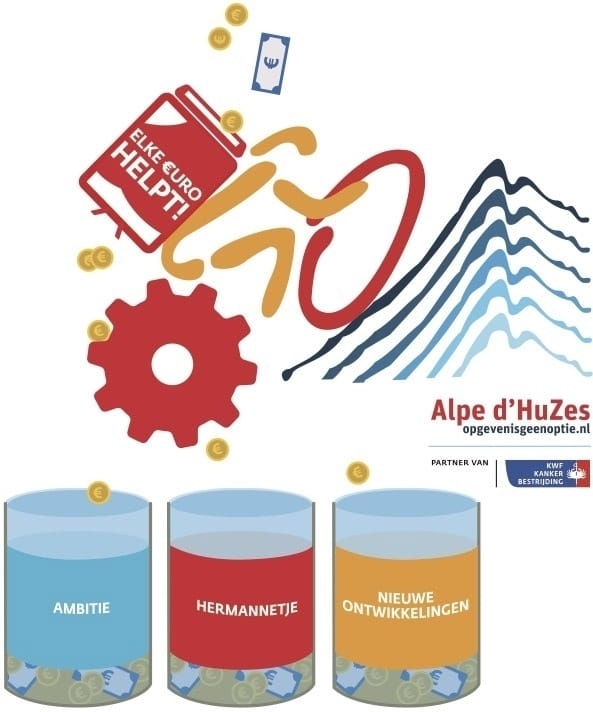 Alpe d'HuZes has raised over 162 million euros since its first edition in 2006. The funds exclusively go into high-quality and relevant scientific cancer research. We always focus on the patient's interests. 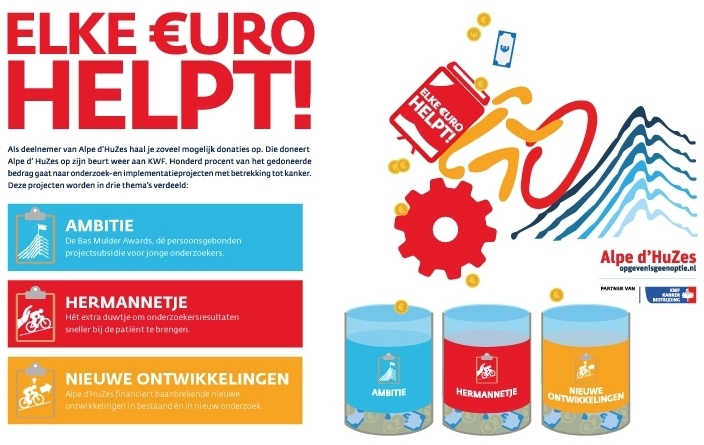 We are an independent fundraiser and strategic partner of the Dutch Cancer Society(KWF). The Dutch Cancer Society Advisory Board determines how the money from the Alpe d'HuZes/KWF Fund is spent. The advisory board consists of national top researchers and (former) patients and critically tests the research proposals for scientific quality, feasibility and relevance. This Advisory Council is assisted by foreign experts. All evaluators do their work for Alpe d'HuZes/KWF unpaid and they never assess research applications that may involve a conflict of interest. HOW CAN I HELP ALPE D'HUZES? Our Alpe d'HuZes/KWF Fund finances many research projects that help us achieve our mission. We spend money in such a way that it ultimately benefits the (future) cancer patient and his environment as best as possible. To ultimately ensure that we get cancer under control and no one will have to die of cancer in the future. Alpe d'HuZes is one of the founders of Kanker.nl. This is a place where you can find everything about the disease. 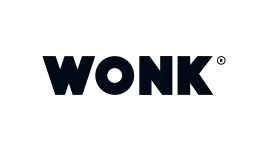 Where fellow sufferers and professionals help each other and work together. Reliable, up-to-date and complete medical information and answers that help patients make choices about treatments and weigh up risks. And it is an emotional and practical support through, for example, personal experiences. Immunotherapy is a fundamentally different way of combating cancer. The tumour is not directly addressed, as in radiation or chemotherapy, but the aim of the therapy is to activate the human immune system to recognize and destroy cancer cells. We fund research into why tumours often dominate their own immune system and how to prevent this. Fortunately, nowadays 4 out of 5 children with cancer are already cured. But the chance of recovery depends on the type of tumour. There are species that tend to return after treatment. If that happens, the chance of survival is considerably smaller. Researchers are working day and night to reverse the chances for these patients. And try to design a vaccine for children with leukemia. This is research into how metastasis of breast and intestinal cancer develop and how they can be combated. Important, because in most cancers it is not the primary tumour but the formation of metastasis that is the main cause of death. This also applies to breast and colon cancer. The treatment method discovered is easy to apply because the medication is administered via the blood and has few side effects compared to other therapies. The Dutch Cancer Society (KWF Kankerbestrijding) is a very important partner of Alpe d'HuZes. 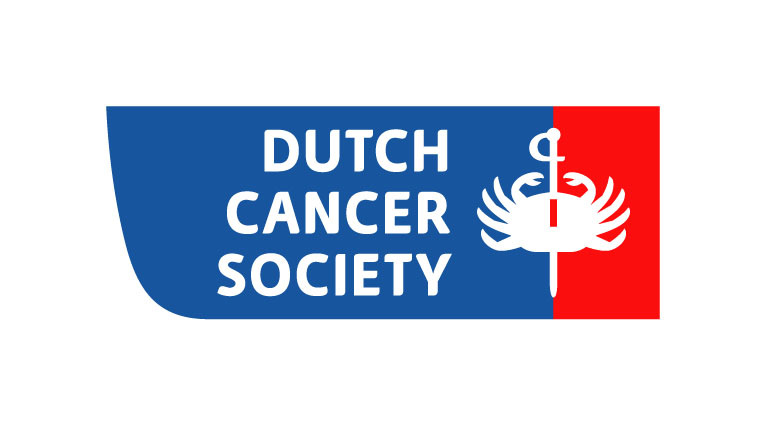 Alpe d'HuZes has a registered Fund (a fund for subsidies) at the Dutch Cancer Society. The expenditure from this fund is made on the basis of an annual spending plan. This plan is set up by a meeting with scientists, patients, representatives of Alpe d'HuZes and the Dutch Cancer Society. More information? Mail to geldbesteding@alpe-dhuzes.nl.